A round up of this week's technology news including apparent Chinese censorship, more employment discrimination lawsuits and why we should be friends with robots. It's finally happened. Eight months, 244 days, 5875 minutes (ish) after GDPR came into force and Google has become the first company to be fined by a data protection watchdog under post-GDPR terms. The result? A fine totalling a whopping £44 million. Ouch. The French data protection watchdog, CNIL, received complaints against Google from two privacy rights groups back in May. The groups claimed the tech giant didn't have sufficient valid legal basis to process user data for ad personalisation, as mandated in the new European legislation. CNIL upheld the complaint, saying Google displayed a lack of transparency that meant "users are not able to fully understand the extent of the processing operations carried out by Google." Unsurprisingly, Google has said they will be appealing the fine - probably more as a matter of principle than anything else. 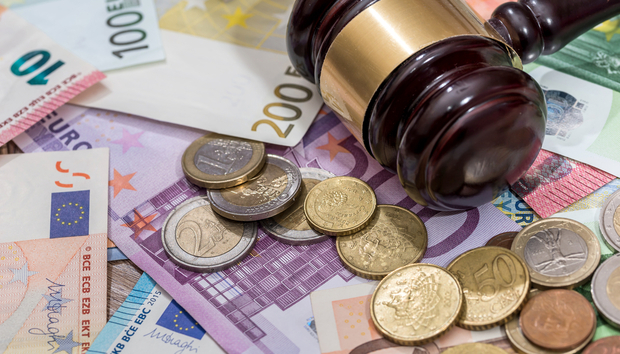 The final outcome could have wide-spread implications for both Europe and the technology companies that operate in it and while this was the whole point of the GDPR legislation, the lack of fines has left many sceptical about whether the regulation had teeth. Clearly, this isn't the case. In other bad news for Google, it was also reported this week that Swedish Data Protection Authority, Datainspektionen, is also investigating the search engine after complaints were submitted relating to Google's use of dark patterns; user interface design choices that attempt to trick users into doing things they might not want to. Google has been ordered to provide the Datainspektionen with information and documentation relating to a number of queries by February 1st. Double ouch.